Where unwanted stray dogs will get a new chance in life. Waving palm trees, pearl white beaches and clear blue water; that is the tropical island of Curacao! However, behind this idyllic image of Curacao lies a different reality; a reality of animal suffering. Terribly skinny and sick, many with scabies, these strays are mostly dumped like garbage by their “owners’ at landfills, stumbling along the road for some food and water. Small puppies without their mother die of thirst and hunger or get run over on the busy roads. Dogs of age also roam the streets. Dogs “discarded” because they are unwanted, sick, cost too much, are not cute anymore or didn’t guard the yard well enough. Little Josh, with his handicapped leg, was found dead tired near JanThiel. He was exhausted and could not walk any further… with a handicapped paw, every step takes a big effort. Now Josh is playing with his friends at Huize DOG. The local government has no funds for animal care or protection. 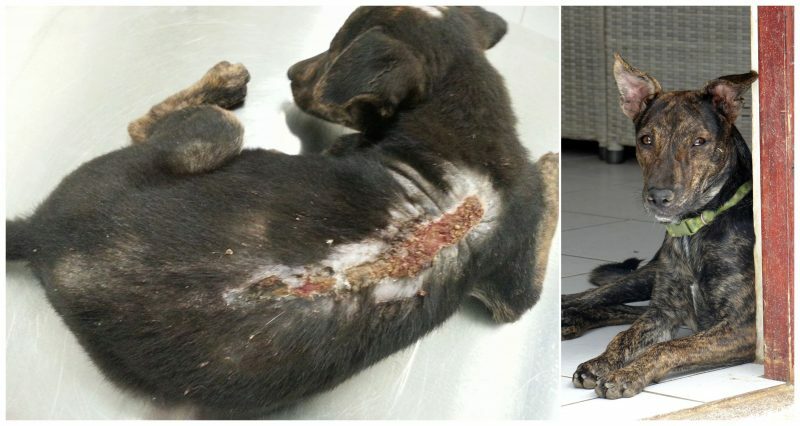 As a consequence, Foundation DOG Curaçao is entirely privately owned and funded. Djoeke Giliam has dedicated the past seven years to the rescue of dogs on the island. Her non-profit Foundation DOG Curaçao obtained official status three years ago. Djoeke runs a “mini” dog refuge from her home, where she now takes care of 70 to 80 dogs. Not so mini after all! Every dog at Foundation DOG Curaçao has a OAD (Owner At Distance) who pays for the monthly costs of food and the necessary cost of preventing the common heartworm disease (Heartguard pill). Aside from the OAD’s, the foundation has donors who help with vet bills. This formula has proven to work well. Volunteers help to take care of the dogs, kennels are kept clean, dogs are groomed and bathed, and of course, there is a lot of cuddling going on! Milly was found with a nasty wound on her back. With some TLC Milly quickly recovered and she has been adopted. On her back she still has a scar. Foundations and private initiatives involved in animal welfare and protection have been united in the Animal Welfare Curaçao Platform. Foundation DOG Curacao is also part of this platform. Through collaboration, we can provide more effective assistance, set up projects, communicate with authorities, and seek solutions. Each initiative within the Platform contributes to animal welfare in it’s own unique way. One foundation feeds stray dogs (who have already made the street their home), and spays and neuters them. The animal shelter is represented, as well as a foundation with many foster families, where dogs can get back on their feet and become socialized until they are ready for adoption. In addition, there is a foundation that teaches and educates school children, as well as a foundation that takes care of the cost of spaying and neutering pets for less fortunate people. Margy, found as a very scared, skinny dog with horribly cut ears. Margy has not regained her confidence in mankind yet, but is very happy with her dog friends at Huize DOG. All great initiatives, but there was still something missing – a safe refuge for the outcasts who have no other place to go and are not wanted. The Foundation DOG Curaçao’s sole mission is to give these “non-adoptables” a second chance in life, providing a safe haven for dogs that are of age, mistreated, abandoned or handicapped – a place where they can stay for as long as they live. Guusje walked cripple along the busy road. Due to the severe inflammation, she had to strengthen for 4 weeks before her leg could be amputated. She lives now in Huize DOG. 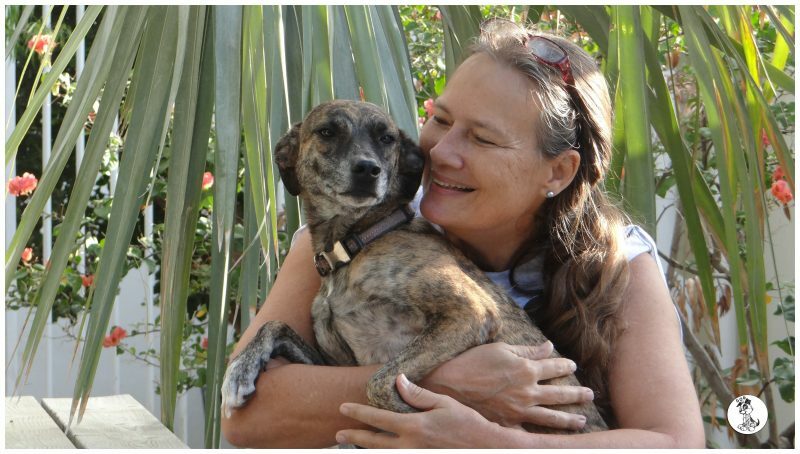 Curacao’s First DOG Sanctuary, Please Donate! Unfortunately, the current “DOG house” is becoming too small for a population of more than seventy dogs. There is an urgent need of more space. In addition, the supply of abused, neglected and homeless dogs continues to overwhelm our ability to keep up with the demand for rescue. Therefore, it is Djoeke’s dream to expand & rescue more dogs and build a new and bigger DOG SANCTUARY ! On the West side of the island we obtained a great piece of land, an area of 5000 square meters. It is a great site to build the DOG Sanctuary. The dogs will have much more space and we can expand to create more spots, especially for the seniors, who are mostly represented in the “non-adoptables” category. With the bigger space, a playground can be created where children can play and cuddle with dogs, and where we can teach the children how to take care of dogs. Important for good education is that the children actually interact with the dogs and learn that they can be a friend for life. The land is there, we now need your help to create the DOG Sanctuary. Blocks and cement for the construction of a 400 meter long foundation around the land so dogs can’t dig their way out. Fencing that will be placed on the foundation. Four containers that will be converted to dog houses. Material for the construction of the container foundations. Roofing over all four containers to provide much needed shadow. Installation of lighting and water connections, furnishing containers and create a playing field. We will start with phase 1 and hope to realize all four phases with your help! All funds will go straight to the DOG Sanctuary project. WITH YOUR DONATION, WE CAN MAKE OUR DOG SANCTUARY A REALITY AND HELP MORE OF CURACAO’S STRAY DOGS GET SHELTER, LOVING CARE AND A HAPPY LIFE. My love for dogs started at a young age. My parents always had dogs and cats at home. When I moved to Saturnustraat, I took care of my two dogs, but it did not take long before there were 10. In 2010, a large, brown, stray dog walked around in my street, where she lived in an open terrain. It seemed as though she had a litter every six months. I wanted to help her, but she was frightened and I was not able to catch her. I started feeding her, moving the food bowl closer to my fence every day. The next step was easy – the food bowl was moved inside the garden and once she was inside I closed the fence. That was my first rescue action. Ascha was spayed the next day and though the intention was to place her back at her familiar spot, I did not feel good about it. The street is always busy and though she may be used to it, I thought it was too dangerous for her. Ascha stayed with me. From that moment on, I knew that I wanted to get more involved with the rescue of stray dogs in Curacao. I first became a foster and later started my own foundation in 2014, with the aim of taking care of dogs who have little or no chance of finding a home because they are handicapped, have behavioural problems or need medical attention. Because my name is Djoeke Olga Giliam, thinking of a suitable name for the foundation was easy; Foundation DOG Curacao. When the Foundation became official, I had 26 stray dogs at my home. Now, three years later, I take care of over seventy dogs. The demand for shelters for the many stray and abandoned dogs (and cats) is big on the island. Needless to say, my home is “full” with seventy and counting… Therefore, building a sanctuary in Curacao is not a luxury, it is a must!